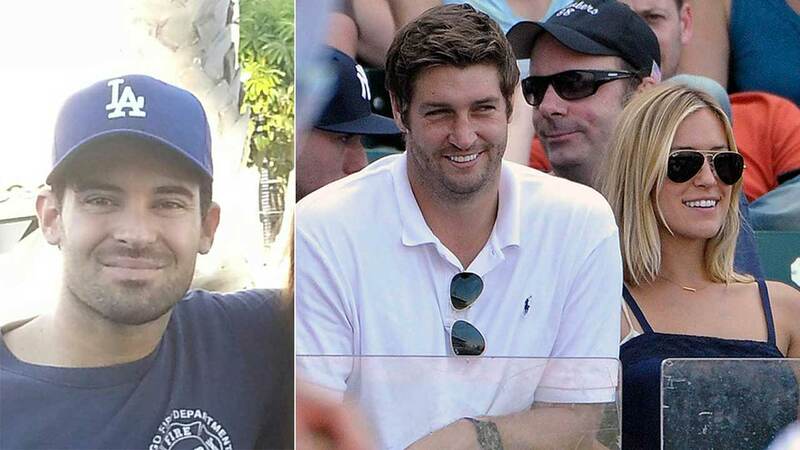 SALT LAKE CITY, Utah -- Michael Cavallari, the brother-in-law of Chicago Bears quarterback Jay Cutler, was found dead in Utah. Cutler's wife, Kristin Cavallari, told E! News that her brother's body was found. Michael Cavallari, 30, was reported missing two weeks ago. "We want to thank everyone for their love, support and prayers during this very difficult time," Kristin Cavallari said in a statement to E! News. "We have just been informed by the authorities my brother's body has been found. This is a very painful time and we are still processing it all. We kindly ask everyone please respect our privacy during our time of grieving." His car was found abandoned in southern Utah the day after Thanksgiving. A team of officers with search dogs and drones fanned out over the desolate area in Grand County, which is about 200 miles of South Lake City. The Grand County Sheriff released a statement: At approximately 10:30 a.m. search crews located remains believed to be that of Michael Cavallari. At this time, the body is being transported to the Office of the Utah Medical Examiner for positive identification and to determine the cause of death. The search crews were searching the Salt Wash area, near exit 175 on I-70 in Grand County. The terrain where the body was located is a steep and very rocky area. On November 25, Michael Cavallari bonded out of jail after allegedly threatening a woman in Orange County, California. The unnamed woman told deputies the two argued days earlier and she was afraid because he kept returning to her apartment. Police reported smelling alcohol on Michael Cavallari's breath when he was arrested. He acknowledged having a loaded shotgun in his trunk, the report said. Michael Cavallari denied doing anything to the woman. Kristin Cavallari rose to fame in the mid-2000s when she appeared in the MTV reality series "Laguna Beach" and "The Hills." Cutler played football at Vanderbilt and now plays for the Chicago Bears in the NFL. The couple has three children together. On Instagram, Kristin wrote: "My heart is in a million pieces. Mikey, I could always count on you to make me laugh. You had such a good heart and will be forever missed. I'm at a loss for words but I know u are in a better place and finally at peace. I love u so much RIP."